Did you know that log cabins are considered to be more energy efficient than normal constructed homes? They can sometimes be as high as 15-20% more energy efficient. Wood, especially timber, has natural insulation properties which can keep your home cooler in the summer and warmer in the winter without driving your energy bills through the roof! Obviously log cabins are hand constructed with meticulous technique and detail. There one and only's that you can brag to your friends about for as long as you own one! There are some timber homes built in Europe that date back to over 800 years old, and one particular log constructed church that is over 1700 years old. Most log homes are constructed from long lasting wood species that can withstand the elements for long periods of time... not sure it will be 1700 years, but maybe! You can see everything! Timber immediately shows signs of rot, mildew, or insect damage, so you can jump on issues faster than a conventional house. 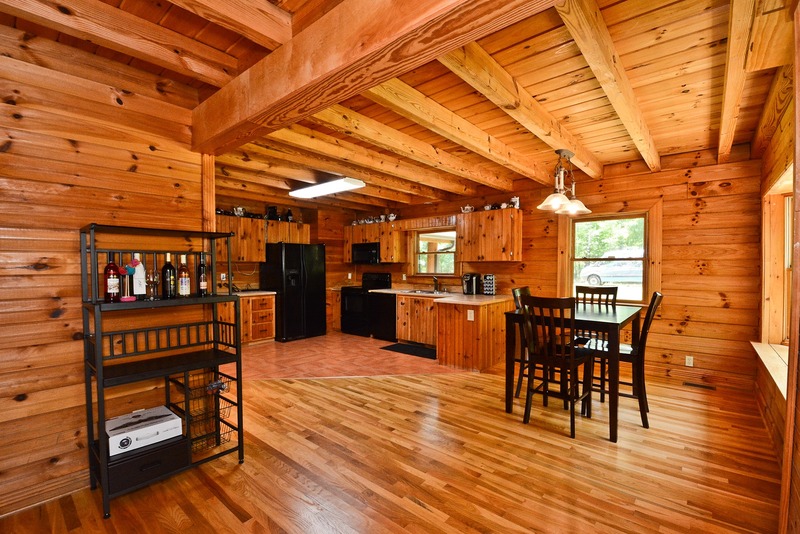 You can also stain and seal your log home with particular treatments that repel mold and mildew. 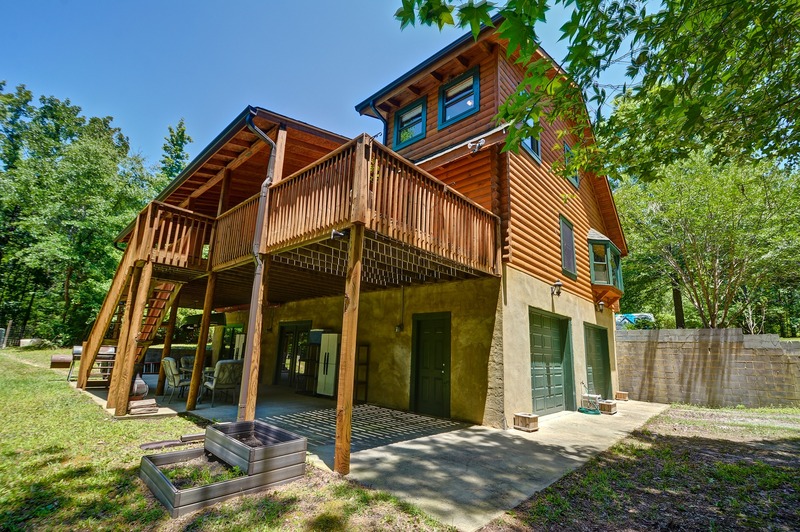 If you are a go green kind of person, then a log cabin fits your lifestyle. Living in a log home cuts down on using non-renewable resources, and will also save you on electric power, gas, and other resources, reducing your carbon footprint. Hand crafted, custom interior features, with soft relaxing wood tones. 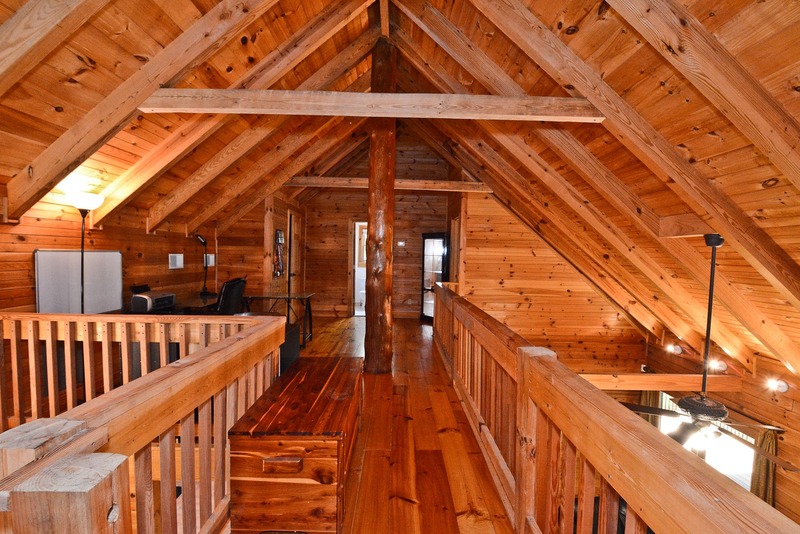 Relaxation is always around the corner in log homes. From the floors, to the walls, to the wooden beams above your head...beautiful wood is all around you. NO more stud finders and NO more ruining sheetrock! Hang whatever you want... wherever you want... whenever you want! All you need is a hammer and a nail!